Over the years, Ascot has become synonymous with fashion and hats, in particular, take on a whole new importance during the meeting. 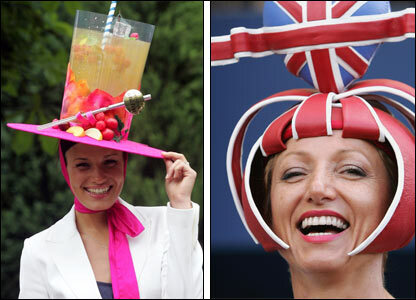 According to the Royal Ascot dress code, "hats or a substantial fascinator must be worn in the Royal Enclosure" but even those who are not in the Royal Enclosure, take an opportunity to wear a hat. All types can be seen from the weird and wonderful to the downright bizarre, with women trying to get themselves noticed by the hat they are wearing. It is important to remember that a hat can make or break an outfit.